In the meantime, in 1905 O.H.L. had gone south to “cruise” timberlands for the Charles P. Taft Land Syndicate, which owned thousands of acres of timber land, largely in Louisiana. While in the South, he met Frank Mariner, who had been one of the organizers of the Pensacola Tar & Turpentine Company. 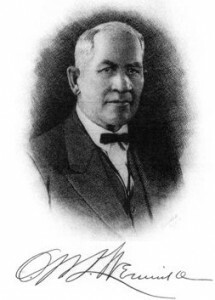 Mr. Mariner described the new “destructive distillation” process used by the plant, which piqued O.H.L.’s interest as an engineer and inventor. 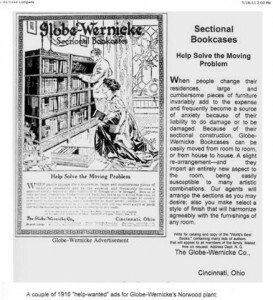 In 1916 Wernicke sold his interest in the Macey furniture company and bought a controlling interest in the Pensacola Tar & Turpentine Company. He moved to the manager’s house at Gull Point along with his wife and mother-in-law. He took over the management of the plant immediately began making improvements. In those days the process used by the plant was fairly crude, expensive, and wasteful. He remodeled the plant and improved the process. I have read that he turned it into one of the outstanding plants in the industry. In 1926, after ten years of his labors, the plant was very successful and O.H.L. sold his interest. In 1927 Pensacola Tar & Turpentine Company merged with National Turpentine Products Company of Jacksonville, Florida. In 1928, National Turpentine Products sold out to Wood Chemical Company of Cleveland, Ohio. But the plant soon became obsolete, and after World War II the plant’s equipment was sold off supposedly to a company in South America. All that remained at Gull Point were a lot of concrete foundations and sumps, a few miscellaneous tanks and pipes, the houses, and the post office. From 1927 to 1946, the Wernicke family continued to live in the house at Gull Point, renting it from Mr. Sam Fletcher of Jacksonville. I assume that Mr. Fletcher must have been associated with the National Turpentine Products Company, since they both were in Jacksonville. In 1946 my grandfather and his neighbors at Gull Point bought the entire row of houses from Mr. Fletcher and divided the houses among themselves. 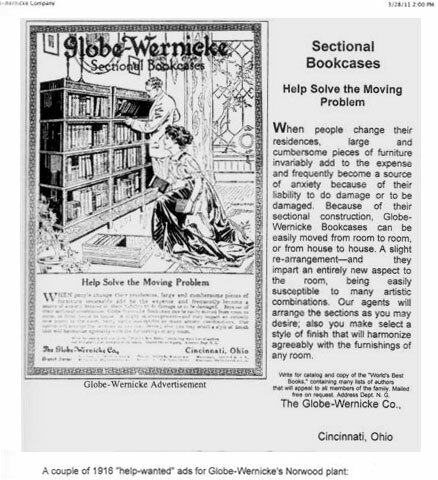 My mother still owns and lives in the Wernicke house today. 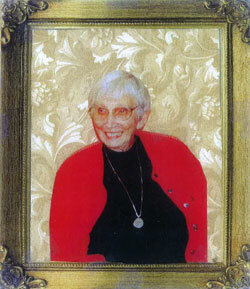 My Aunt Julia is co-owner of the old plant, along with the family of the late Dr. Alan Bell, an ophthalmologist. In recent years the Florida Department of Environmental Protection has taken an interest in the plant site, because test wells revealed a high concentration of industrial chemicals in the soil. The final owners of the plant and their successors, including the Glidden Paint Company and Lyondell Chemicals, have paid for remediation projects to try to remove the chemicals or at least neutralize them. They don’t seem to have made a lot of progress, although the latest effort did remove a lot of the old concrete foundations and structure. However, the old concrete retort shells are still there. So the last chapter of the Pensacola Tar & Turpentine story remains to be written. O.H.L. Wernicke did at least one more thing of importance in Pensacola. He became the number one booster for the three-mile bridge from Pensacola to the Santa Rosa Peninsula and for the bridge to Pensacola Beach. Before the bridges were built, the only way to get to the Peninsula and Santa Rosa Island was by boat, which kept a lot of people from ever going there. O.H.L. studied this situation and determined that a toll bridge across the bay would be profitable. He suggested this to the Chamber of Commerce and others, but no one was interested. So around 1925 he decided to make the financing and building of a bridge his main endeavor. He rented an office at 15 W. Garden Street and began traveling the state to drum up support. He looked into the new bridges being built in Panama City over the East Bay and the West Bay, and met the contractor’s a young engineer named R.G. Patterson. O.H.L. explained his idea for the Pensacola bridges to Patterson, who quickly became interested. When the bridges in Panama City were finished, Patterson came to Pensacola and began working to promote the project. In 1927 he moved the family to Pensacola, and they ended up living in one of the houses at Gull Point, where their descendants still live. With O.H.L. assistance, Mr.Patterson pulled together financing, got government approvals for the project, organized a bridge company, and started the work. 1921, O.H.L.’s older son, Carl, had moved to Gull Point with his wife and sons. Carl is the author of the journal that is on the display table. It includes a letter describing his first impressions of Pensacola and Gull Point. Carl died at Gull Point and his family moved to California. O.H.L. also organized a motorcade from St. Augustine, Florida, to San Diego, California, over what was known as Old Spanish Trail. He did it to promote legislation to pave a trans- continental highway along this route. He personally led the motorcade across the country, but the strain of the trip proved too much for his heart, already overtaxed by a strenuous like. He died of a heart attack in August of 1930, before the three-mile bridge was completed and opened later that same year. He never did get to experience the thrill of a ride across the bridge. But his grandson, my father, participated in the opening ceremony for the bridge. He was one of the boy scouts who held the ribbon that was cut to mark the opening. It was around this time that my grandfather and his family moved into the Wernicke house at Gull Point. Part 4 of the 4 part series will appear in March 2014.